MY LITTLEWING event company will be organizing basic nature photography workshop for entry level and beginner. 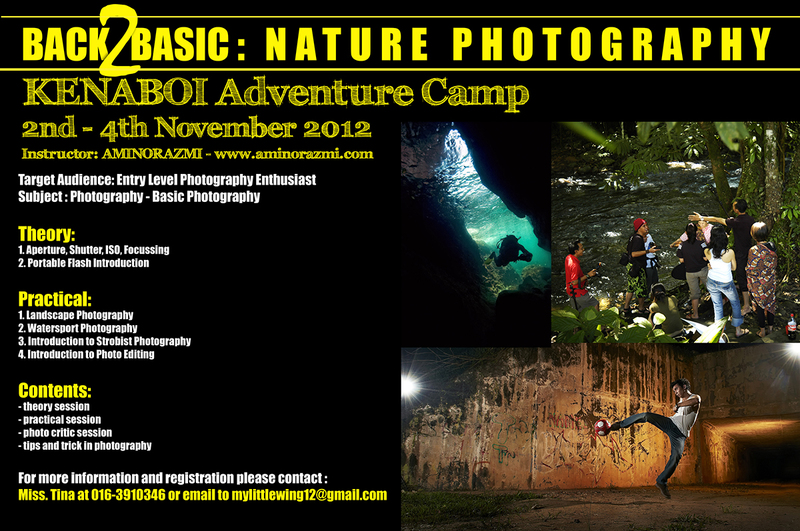 I would like to invite you to take part this workshop as your first step door to get to know what is nature photography all about. Take your time for a minute to read more of the workshop program as below here. 2. Venue and facilities sponsored by Kenaboi Adventure Camp and team.